Trading commodities can be a great way for anyone to earn a strong return on investment. Similar to trading other public securities, there are a variety of laws in place that govern how you may trade commodities. Those that are suspected of trading commodities with insider information or trading in a fraudulent manner could face federal charges. 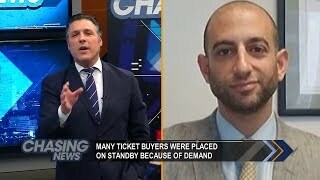 Who Handles Commodities Trading Charges? Today, commodities charges are handled by the CFTC. This is a federal enforcement division that handles many trading and investment charges, such as fraud and insider trading. The organization works to handle charges for federal, state and foreign trading violations. This can include handling charges related to illegal trades related to commodities, swaps, options, and futures. What are Common Commodities Trading Violations? There are a variety of different types of commodities trading crimes that you could be charged with. One of the most common is in regards to insider trading. While insider trading is not as rampant with commodities trading as it is with stocks, there are situations in which you could have insider data that could give you an unfair advantage on the market. If you do trade with insider information, you could be charged with a criminal act. The CFTC also commonly investigates fraudulent trading activity. This more has to do with institutional traders that may make trades that go against their reported investment strategy or if they do not provide investors with the right amount of financial detail or inaccurate data. What are Commodities Trading Penalties? If you are charged with a criminal commodities trading charge, there are a variety of different penalties that you could be hit with. The most common penalties are typically financial penalties that can be levied in either civil or criminal trials. These penalties will surely require you to pay back any profits you made when using insider information and could also include fairly significant punitive penalties. If you have been trading with insider information over a period of time, or if you are guilty of fraud, you could be facing imprisonment. These financial crimes can carry a variety of prison term lengths, some of which can extend for several decades depending on the scope of the crime. Those that are charged with insider information or other trading violations may permanently be restricted from trading commodities and stocks in the future. Others may simply be put on a probation plan. Since commodities trading criminal charges are so serious, you need to make sure that you are properly represented by a criminal defense attorney that is knowledgeable about this type of law. Commodities trading is a very complex area of the legal world and having an experienced attorney by your side will help you to build a case that can result in the charges being dropped. The attorney will also be able to work with prosecutors and other parties to allow you to plea to a lesser charge to ensure your potential punishment is minimized.